The report was released in advance of the 70th anniversary of the NHS — called the “envy of the world” by then-health minister Nye Bevan — next month. The research collaboration by thinktanks The Health Foundation, Institute for Fiscal Studies, Nuffield Trust, and The King’s Fund found that the NHS was lagging behind in the treatment of eight out of 12 most common causes of death including four types of cancer (breast, lung, colorectal, and pancreatic) and lung disease, respiratory infections (such as pneumonia), stroke, and heart attacks. “We run a health system with very scarce resources in terms of staff and equipment and achieve poor outcomes in some vital areas like cancer survival,” said Nigel Edwards, chief executive of The Nuffield Trust. 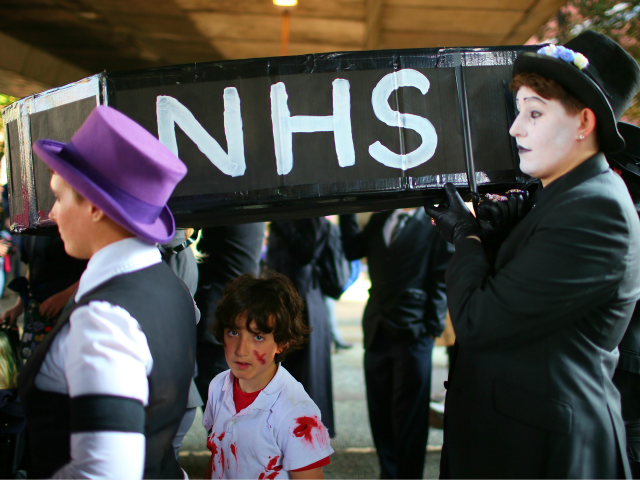 The NHS was, however, described as a “perfectly ordinary” service produced for a “middling level of cost” by the director of the Institute for Fiscal Studies Paul Johnson. “Access is good and people are protected from high costs, but its performance in treating people with cancer is poor, and international comparisons suggest too many people in the UK die when good medical care could have saved their lives,” Mr Johnson added. The NHS was also found to have a consistently higher than average infant mortality rate at birth and for the first week after birth with 7 infant deaths out of every 1,000 occurring in the UK compared to an average of 5.5 out of 1,000 in 2016. New mothers in the UK were also found to be having “among the shortest average length of stay for childbirth (1.5 days, compared with an average of 2.7 days)”. Less than a week ago, Britain’s universal healthcare system faced one of the biggest scandals in its history after an inquest had found that there was “an institutionalised practice of the shortening of lives” through unnecessary opioid administration at Gosport War Memorial Hospital resulting in the deaths of 456 elderly people – deaths deemed “euthanasia” by one whistleblower.